Plans for the new homes in Washingborough. 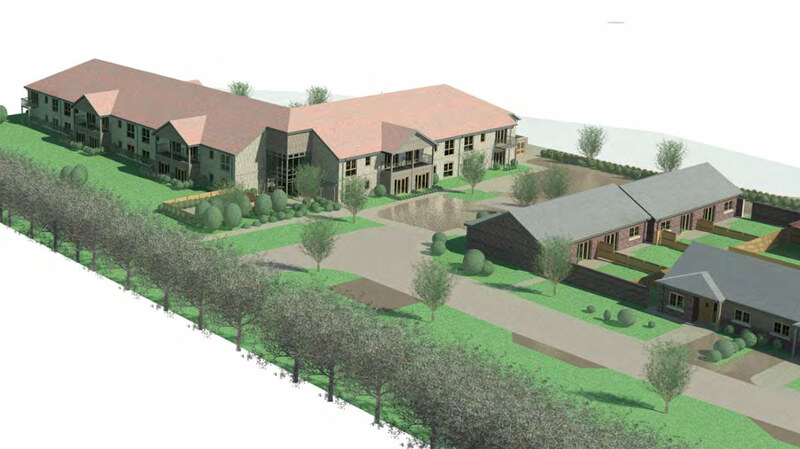 Developers have submitted plans for 98 new homes, including 34 retirement dwellings, in the village of Washingborough near Lincoln. 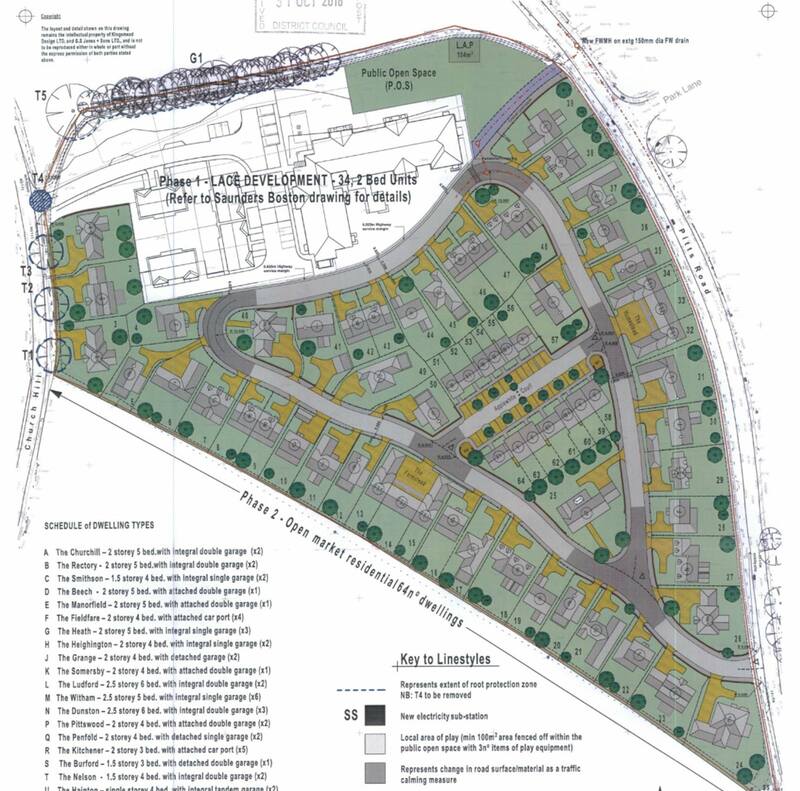 Phase one of the proposals on land on Manor Farm, Church Hill, submitted by elderly support charity Lace Housing Association, includes a mix of 34 affordable two and three bed apartments and two bedroom bungalows. The first phase of the development would be affordable apartments. The second phase of the plan include 64 open market dwellings ranging from five bed to there bed detached houses. Phase two of the development includes 64 houses, adjacent to the railway line. 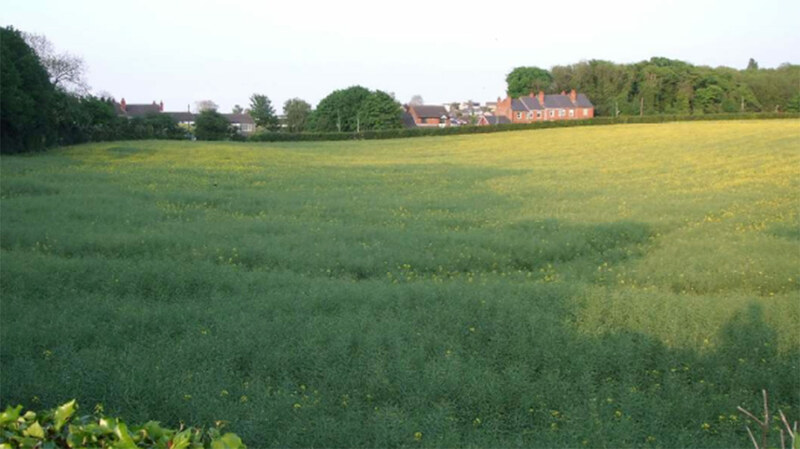 The site is currently being used as an arable field just north of Pitts Road. and lying adjacent to the railway line. The site is currently used as an agricultural field. The North Kesteven District Council planning committee will consider the proposals at a later date. Comments can be made online until December 1.